Discussion in 'News and Announcements' started by Roshen, Jul 14, 2015. These are special servers that are only available to All Access members. 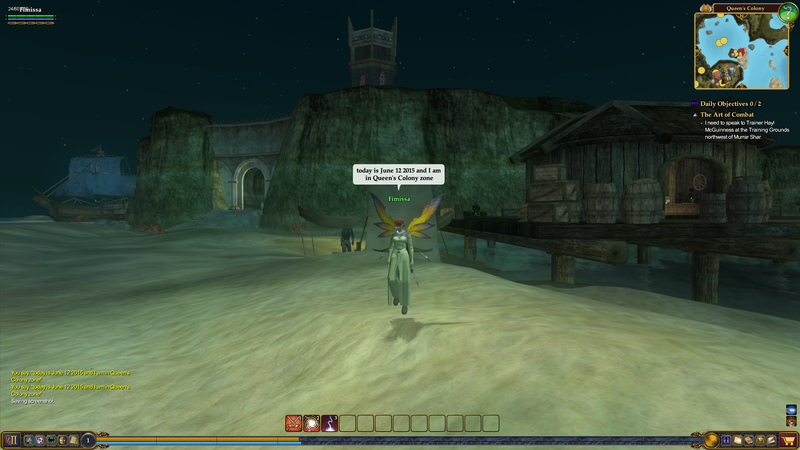 If you aren’t already an All Access member, sign up and begin your adventures in Norrath… again! Players will have the option to vote to unlock content on Stormhold (PvE) and Deathtoll (PvP) servers every 30-days. The voting period will last a week, and if the server votes not to unlock the next expansion, the vote will start again after 30-days. If the server chooses not to unlock content three times in a row, the votes for the next expansion will change to 90-days in-between votes. This will reset back to 30-days in-between votes after an expansion is successfully unlocked on your server. Players must be within 20 levels of current content cap to be eligible to vote. SierraDawn, Rhodris and Jaden like this. Will Stormhold and Deathtoll share a character limit with the regular servers, or will they be a different category? It would be nice to know if I need to clear out character slots beforehand. Belenos, Slant, ringgirl_UFC and 4 others like this. Is there any difference between Time locked expansion servers and progressive servers? same thing or different things? Will theTime-Locked Expansion (TLE) servers be 60 days or 30 days to unlock? Will they be voted servers? Load balancing like eq1 tlp servers? An answer about character slots would be a big help. Belenos, Siren and HaphazardAllure like this. I have literally advocated and waited for this to happen for years. I cannot believe some of the things going on in beta, the promises that were made regarding player feedback and on server polls and outright lies about the excuses for no Isle of Refuge. Seriously, I'm appalled this is going live like this. rutro, Pixistik, Lungz and 1 other person like this. “I have literally advocated and waited for this to happen for years. I cannot believe some of the things going on in beta, the promises that were made regarding player feedback and on server polls and outright lies about the excuses for no Isle of Refuge. No IoR? 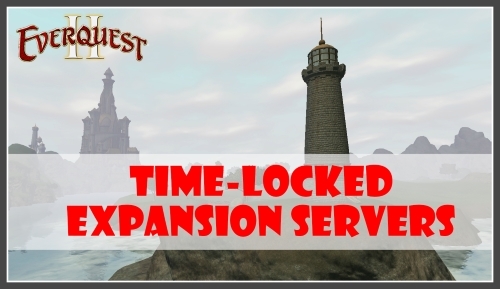 I thought the whole Idea was to make these time locked servers like it was when EQ2 started? Are they going to have Freeport and Qeynos housing zones like Beggars Court or are they gone too? These are what I was most looking forward to! No, they were never intended to be Project2004 servers. The devs were completely up front with us from the beginning - they will be using the game as it exists now but with some tweaks like increasing overland mob difficulty. They were never going to put things back to how they were originally, including Isle of Refuge or suburbs, no class quests, no stat changes. These are Time-Locked Expansion Servers, not vanilla EQ2 servers. They will be time (or expansion) locked until the majority of the player base votes to unlock the next expansion. Deadlyne, Belenos, flameweaver and 1 other person like this. I have to say I am pumped for this server, but amazed at the quickness that this thing will be turned around and up in prod. Only two weeks of beta testing probably leaves a lot of stuff on the table that wasn't discovered. I am amazed it wasn't at minimum a month. The chaos that reigns on PvP is going to mesh against the chaos of a not-completely tested levels 1-50. Should make for interesting gameplay. I find it hilarious people are still crying about the Isle - the feedback from Devs from the very outset has been clear, and unwavering, you know we aren't getting it - this has never changed. EQ1 progression servers are by no means p99 either - in both cases they are using the binaries from Live, which inherently limits how far they can turn back the clock. To play on a true classic server you need a totally different client. “I find it hilarious people are still crying about the Isle - the feedback from Devs from the very outset has been clear, and unwavering, you know we aren't getting it - this has never changed. People with toons that have been camped on Outpost of the Overlord/Queens Colony (IoR v2) for years can still do the quests, level up and can leave the island in direct contradiction to what devs have stated. They leave and the servers didn't blow up nor did their characters break. And people have recorded themselves doing so on the current live servers. So what we "knew from devs" was infactual and for a large number of players this is a deal breaker. That aside, I feel like if they do server polls on beta immediately, then most of the biggest complaints may be resolved, especially if they can implement potential changes quickly or let the playerbase know that there will be polls on the live servers shortly after they go live to address the biggest concerns expressed on the beta forums. a time locked progression server means the next expac will not open until both all the current raid tiers have been cleared and a vote has been passed to open them. a time locked expansion server means that the next expac will unlock after either a set amount of time or a vote is passed without the raiding requirement. the only video has been of someone leaving. I have seen no evidence that the quests still exist. if the devs want us in dlw and frostfang, then that is where we are. eq1 tlp is not a 100% classic experience. you can buy several rearch-only spells on vendors, your bags will fill up with quest drops for quests that are not activated. many underlying code changes are still present on it making pets better dps than any actual dps class due to the total lack of stats on gear. So, obviously, it's all just fine on live now which is exactly the opposite of what we were told. I had 8 old guildmates ready to come back for this I reached out to, 7 of them changed their minds as soon as I told them IoR will unlikely be on it, not just for nostalgia but the assumptions made about DGC and the game due to it not being included. Seems about right for other players too based on responses in chat and on these forums. Seems like they'd make an effort, if there is much of one at all to put it in. But, whatever, I've said my piece. Nuhvohk, Pixistik, Siren and 3 others like this. then there are clearly other issues that are preventing this that the devs do not care to share with us. it could be something as simple as integrating them would break something on live, to something more complicated like 'the money lenders said to stop spending money on labor and get this thing out NOW'. until they give you a concrete reason why, you can either accept that it's not changing now or just keep whining about it. We don't matter. It's all about the $$$. $15 / user on TLE servers gona make a grip. + xp pots. It's like voting for the president. Don't matter what you do it's still the same outcome. I'm still playing whether or not the best changes for the players are in tact. The raid content is way too easy the x2's were downed by fully treasured geared players. Oh well. I'll enjoy the ride one last time. Cheers! Bah..there is "always" someone who is gonna come back with all his friends "if" (insert gaming company name) does this or that. But since they didn't, they WILL not partake of the game. Never fails. If s a single facet of the game is enough to make you change your mind, then its highly likely you never planned to come anyway, IMO. So go play something else and leave the rest of us to enjoy a pretty cool effort on the part of DBC. 8 players or even a 100 will not make or break the success of the server. Rozyn, Deadlyne and Rhodris like this.